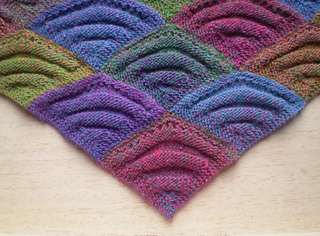 Inspired by a Victorian pattern, the shells that make up this triangular shawl are worked in ripples of stocking stitch. 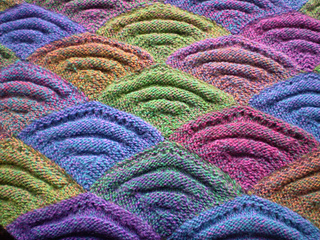 The pattern is easy to memorize and the shells make a good project to take out and about. 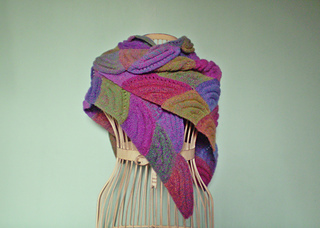 The pattern could be adapted to any weight yarn or use leftover yarn to make a multi-coloured shawl.